I love Roald Dahl’s books. Roald Dahl was a sexist bigot whose books demonize fat people. Dahl published anti-Semitic views and his books are littered with racist caricatures. And I think they are probably still worth reading with kids. I’d like to encourage you to celebrate the books without excusing the person behind them. In addition, I want to give you some Dahl read-a-likes from some new and diverse authors you might have just started hearing about. 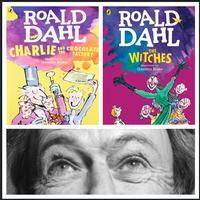 Dahl’s books were a mainstay of my young reading life. Goofy character names always signal character and disposition. Unconventional and surprising narrative threads twist, turn, knot, and unravel. Unspeakable and hard to articulate truths about the experiences of children and their childhoods come to life in Dahl’s stories. I’ve read and will read Dahl books to my kids—Charlie and the Chocolate Factory was a big hit; The Witches and its creepy grandmother-types was too much for my kid, so maybe we’ll try again next year. I even chose to re-read and evaluate The Witches for a library school assignment a decade and a half ago, and didn’t notice how troubling some of Dahl’s language was and still is. I did notice however, and care a lot, as I read Charlie and started The Witches with my then four-year old. Here is an example of how Dahl reminds the reader over and over again that Augustus Gloop is fat, and therefore greedy, disgusting, and bad. For a longer discussion of this problem—in Dahl and in many other examples of beloved classics—see the article entitled "The Ideology of Fatness in Children’s Stories". Read the description Wonka offers of the Oompa-Loompas. This description is informed by racist tropes of happy slaves and about non-European people being foolish, backward, and child-like. "No country in the world is completely free from WITCHES. A witch is always a woman. I do not wish to speak badly about women. Most women are lovely. But the fact remains that all witches are women. There is no such thing as a male witch. On the other hand, a ghoul is always a male. So indeed is a barghest. Both are dangerous. But neither of them is half as dangerous as a REAL WITCH. 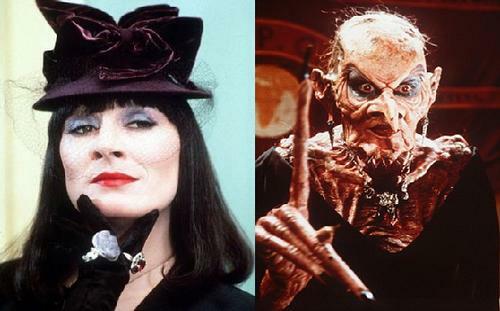 As far as children are concerned, a REAL WITCH is easily the most dangerous of all the living creatures of earth. What makes her doubly dangerous is the fact that she doesn’t look dangerous." While this makes for excellent and scary world-building, it also patently reinforces reflexive male fear of female authority and terrible characteristics about women. For an extended and nuanced discussion of The Witches and its portrayal of women, see Anne-Marie Bird’s Women Behaving Badly: Dahl's Witches Meet the Women of the Eighties. School Librarian and children’s writer Kyle Lukoff recently posted on Facebook about a conversation he had with a friend, which demonstrates the anti-Semitism baked into the worldbuilding of Dahl’s witches. * There's a moment in the beginning where the grandmother accuses the hotel owner of a rat infestation, and then later on the boy turns them all into rats, and there's a longstanding association of Jews with specifically rodentine vermin (see: ‘The Eternal Jew’ I mean, don't see it, but). * They're an international, diasporic race: ‘There are not a great number of real witches in the world today. But there are still quite enough to make you nervous.... No country in the world is completely free from witches.’ Of course, at the end of the book the boy and his grandmother decide to dedicate their lives to turning all witches into rats and then killing them, an ingenious final solution. * The Grand High Witch is ‘Simply rolling in money. Rumour has it that there is a machine in her headquarters which is exactly like the machine the government uses to print the bank-notes you and I use.’"
So there’s a lot to be wary of when you want to read and share Dahl with children. Should you still? Matt Mikalatos, publishing at Tor.com, posits four questions a reader might ask of what he calls a “problematic classic.” Ranging from wondering if these works are something a reader can still enjoy privately, all the way to recommending it, or even producing a work that could act as a "corrective" to one of these problematic classics. For me, that means I still want to share Dahl’s books with my kids and other young readers but I also want to work hard to avoid and undo the harm these books carry with them. Here’s what I do: I edit for what’s appropriate for my kids. For lots of books, that means changing pronouns, skipping negative or overly gendered descriptions and adjectives, eliding certain parts of the books, and stopping to talk about stuff that brings up hard questions. I am constantly changing "boy" and "girl" to "kid" to try and undo the heavy gender stereotyping you will find all over these books. Edit and delete the parts with racist, simplistic, fat-phobic, negative, or conservative gender stereotypes when you read it aloud to your kids. When they can read themselves or if they notice the content and text changes, talk to them about these edits and why you thought they were important. 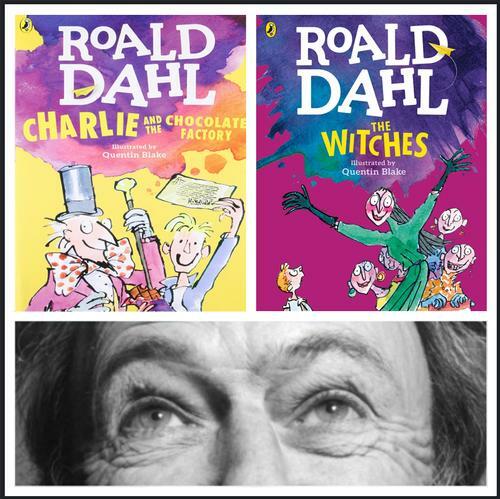 Edit and delete the racist images reinforced and promoted by Dahl. 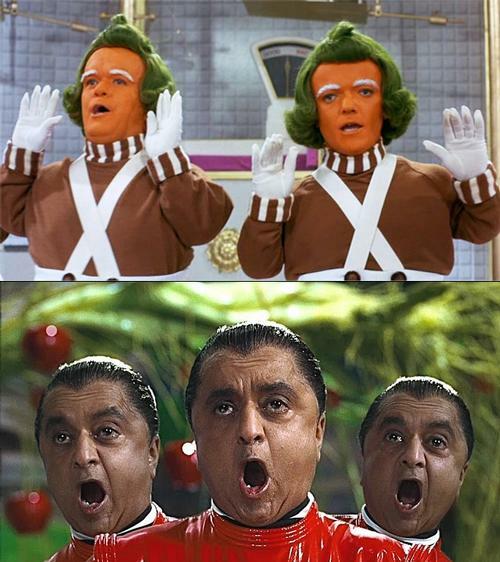 This is most evident in the Oompa-Loompas in Charlie, but is also documented in Dahl’s anti-semitic writings and justifications for Hitler’s murderous actions. Those questions can be weird and uncomfortable. But you can talk to a kid about hate and people trying to hurt other people because they are black/queer/different/fat… Tell them in language familiar and understandable to them and start building their awareness and understanding. Read other stuff, too! My colleague Rachel has some amazing suggestions for other authors with Dahl-esque, read-alike books to check out! This is the first in a future series of blog posts that look back on favorite books, movies, music, and art by reexamining them and discussing the sometimes problematic nature of their content and / or creators. Let us know your own thoughts in the comments below on the topics discussed! Oompa Loompas as portayed in both film adaptations (1971 and 2005) of Dahl's novel Charlie and the Chocolate Factory.